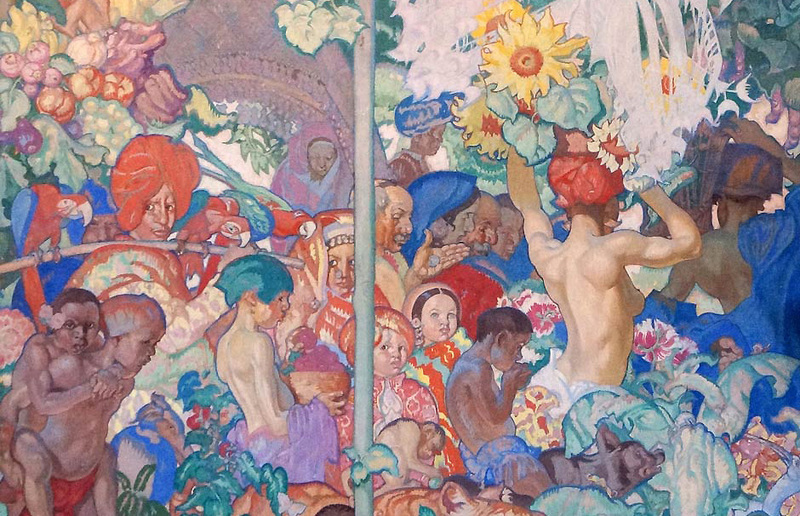 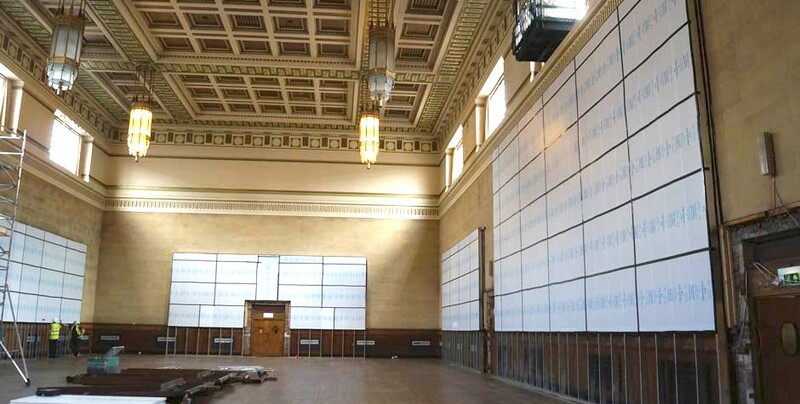 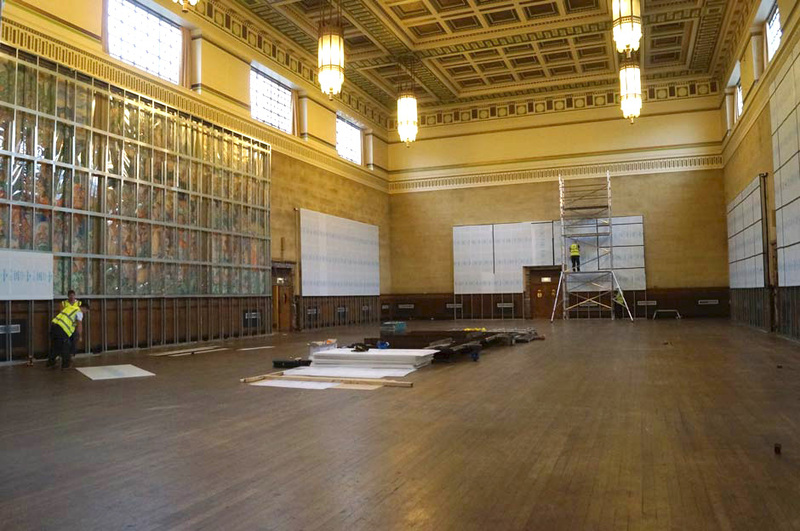 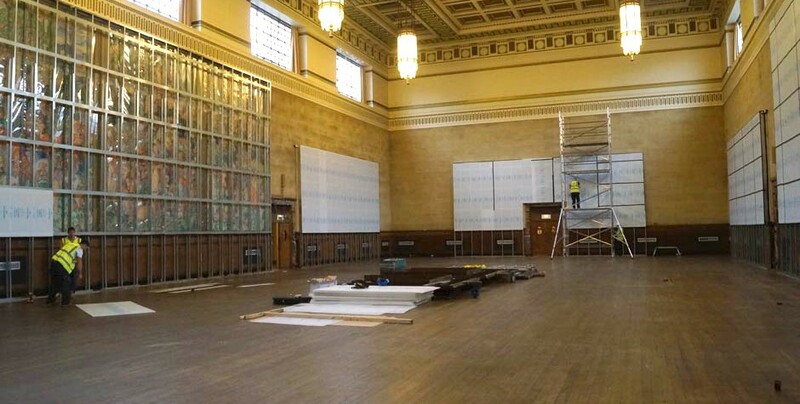 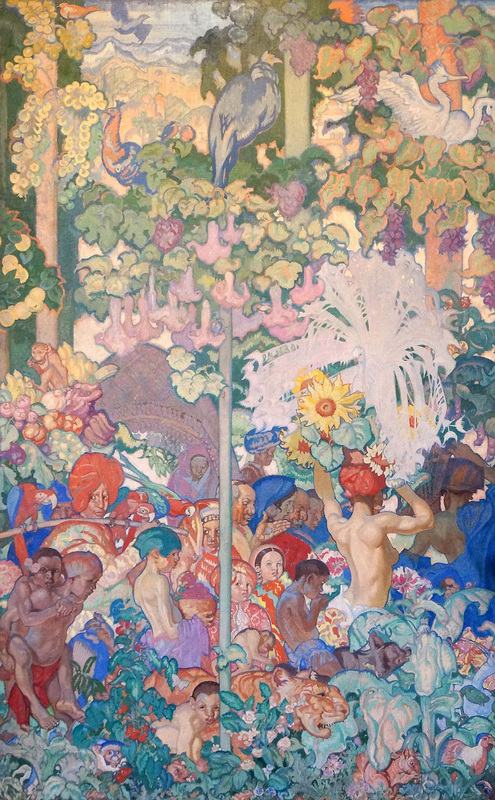 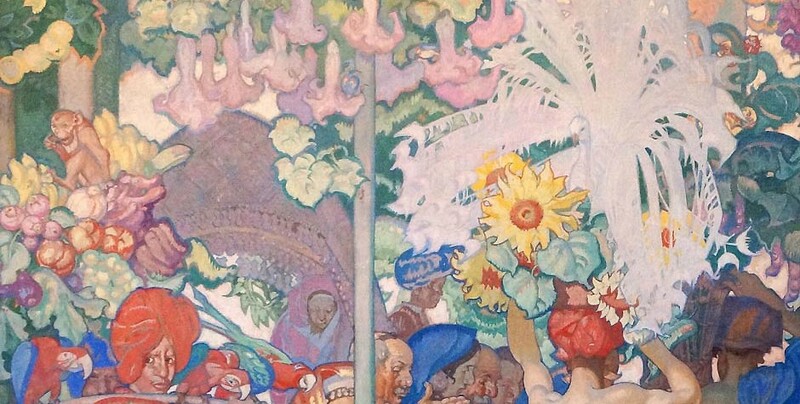 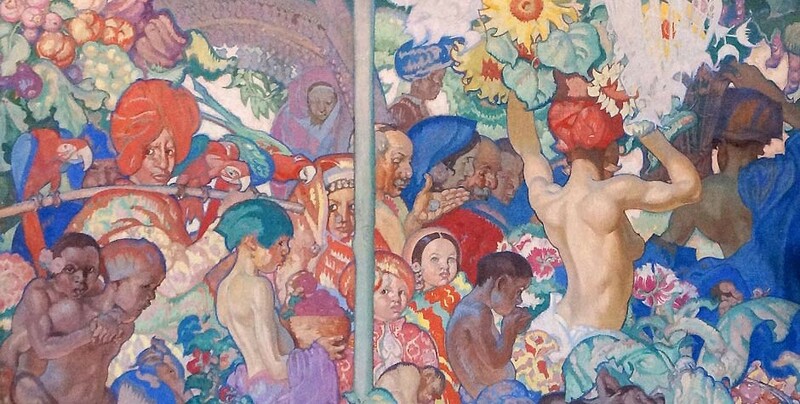 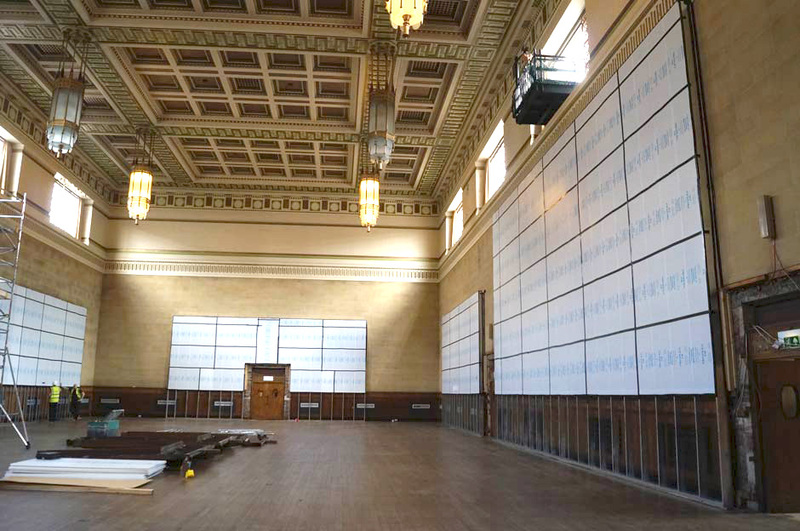 Protection and monitoring of 17 canvas murals, dated c. 1930, by Frank Brangwyn at the Guildhall during Refurbishment Works. 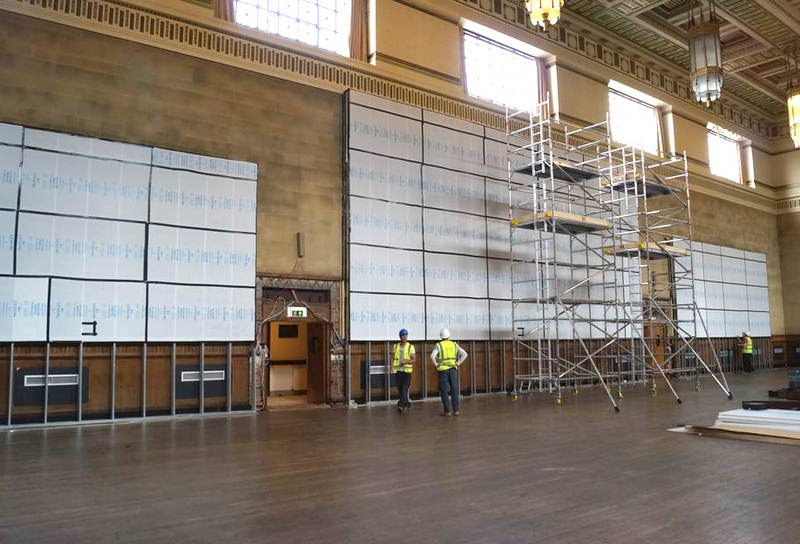 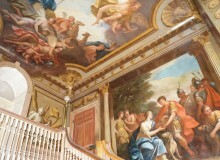 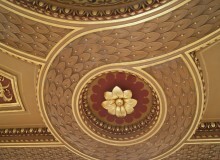 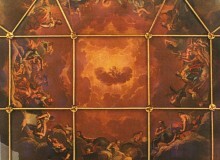 The project involved the provision of design and specification instructions for packing and protection of the paintings in situ, prior to refurbishment and redecoration of the Hall. 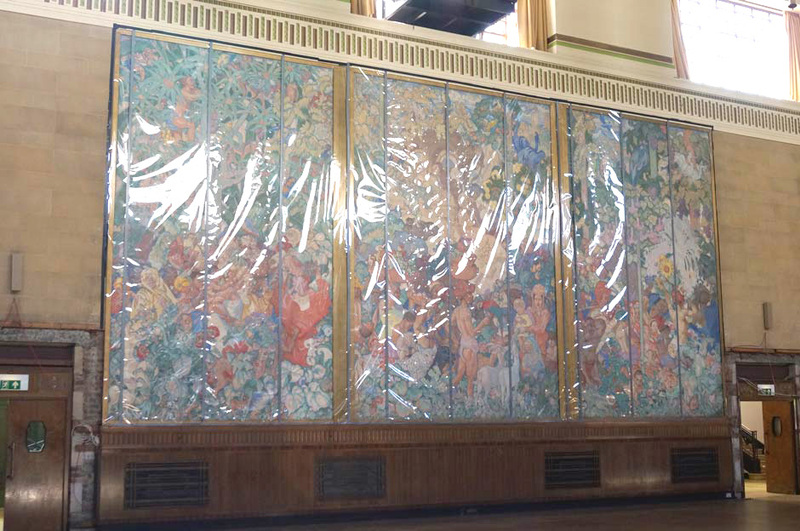 A major condition survey of the paintings was undertaken at the start of the work programme, including submission of recommendations for conservation treatment and long-term preservation. 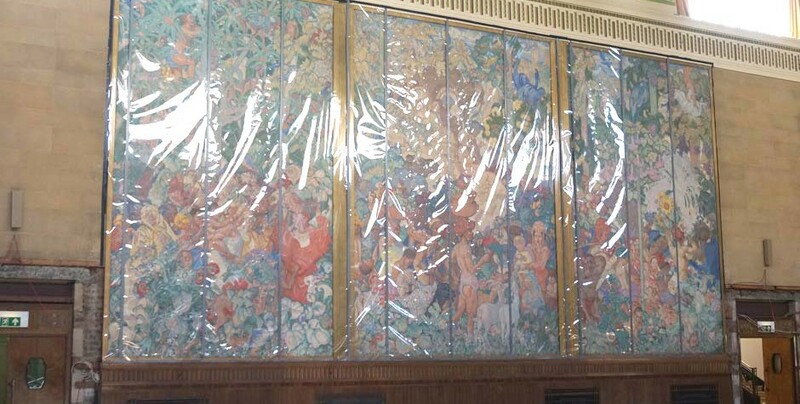 In addition, the artworks were monitored on a monthly basis through environmental checks, and visual inspection of packing security and painting safety. 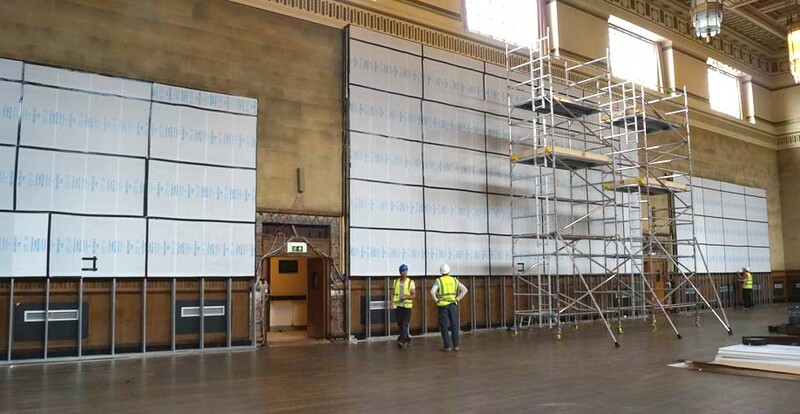 Watch BBC News coverage of the project by pressing the ‘Project Link’ button.